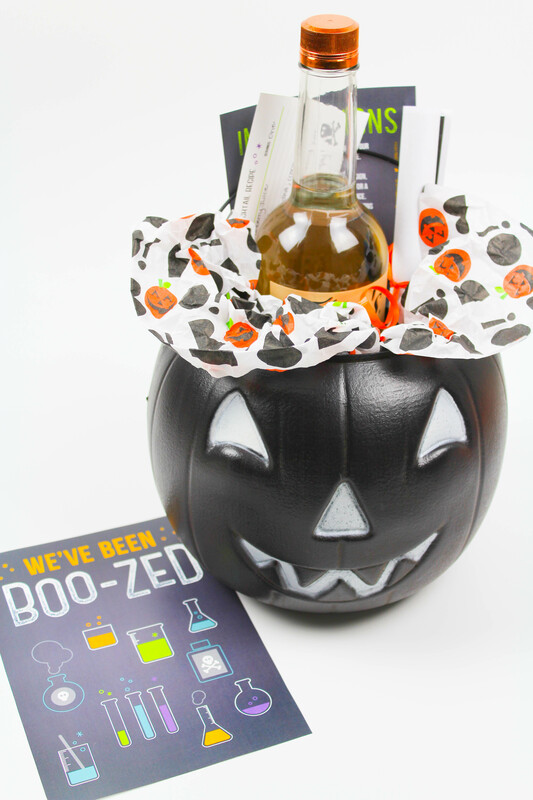 This “Boozed” gift works just like the traditional boo gifts you’ve seen in the past, except they involve ALCOHOL. Yesssss. 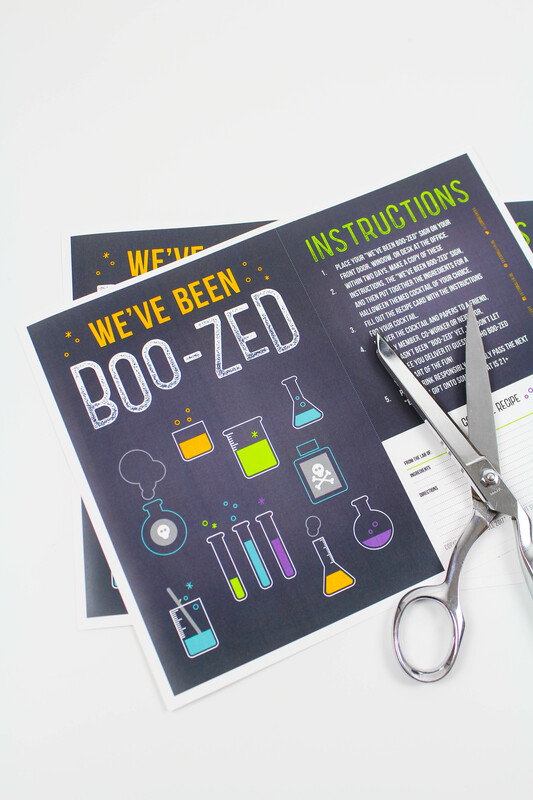 Download and print TWO copies of the Boozed printable file. Next, cut out the different sections on ONE of the printed copies and roll up the other one. You can tape it together or tie it up with ribbon like I did. 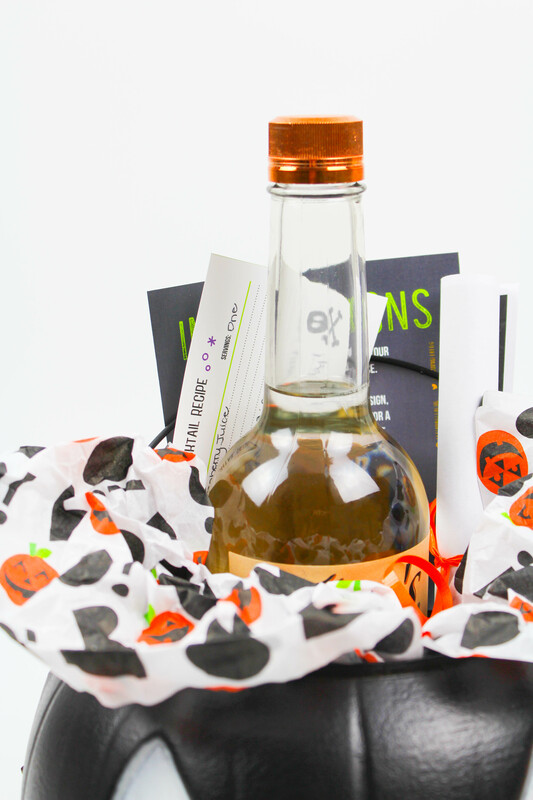 (This copy is going to go with your boozed gift so that your recipient can make a copy and keep the libations flowing to the next lucky boozed receiver). Next, decide what cocktail you want to “gift”. 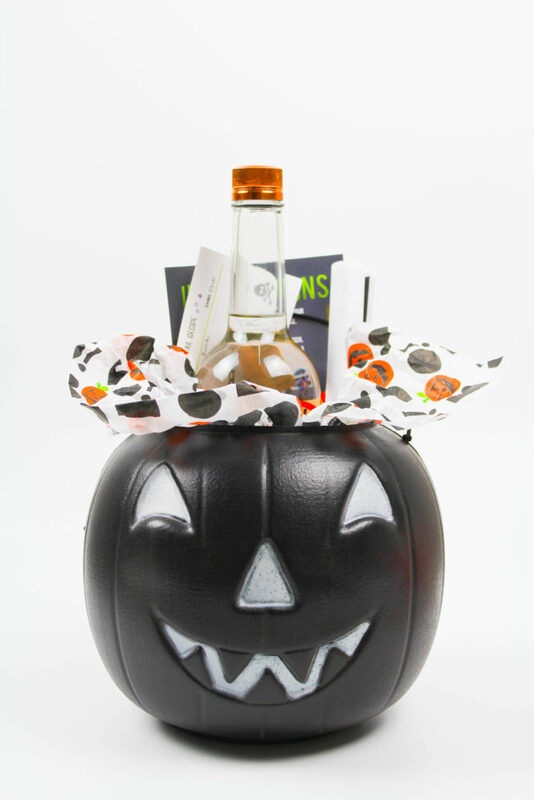 Purchase the alcohol for that cocktail, and as an optional addition, you can throw in the mixers, garnishes, or fun cocktail glasses with your gift. The choice is yours! 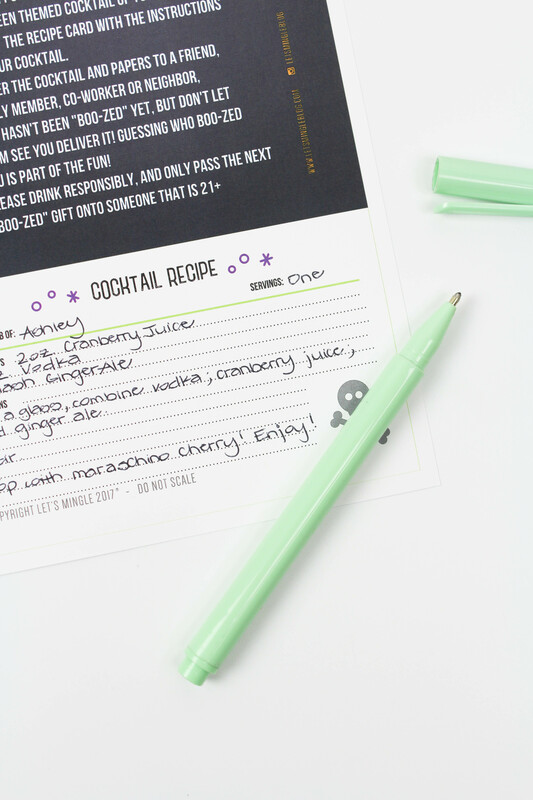 Fill out the cocktail recipe card with your cocktail of choice. 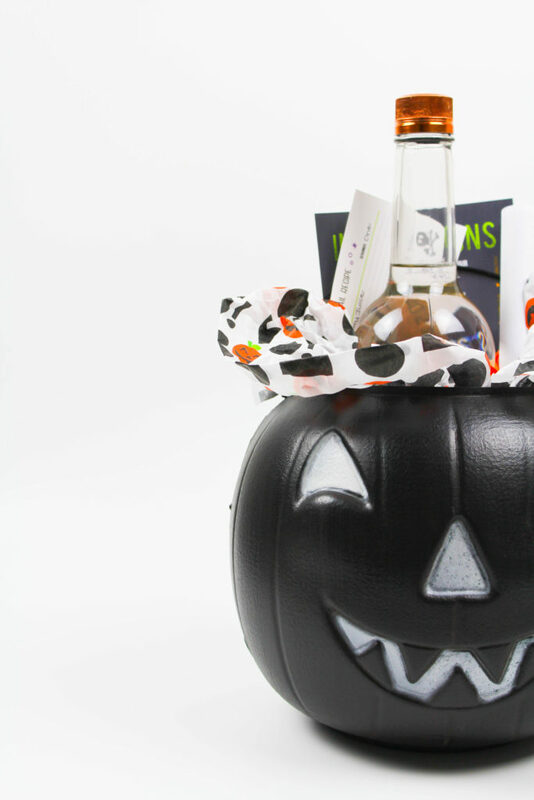 Pick out a fun container, gift bag, or box, and fill it with your bottle of alcohol, additional (optional) cocktail mix-ins, the other copy of the rolled up printable sheet, your recipe card, and the instructions sheet. 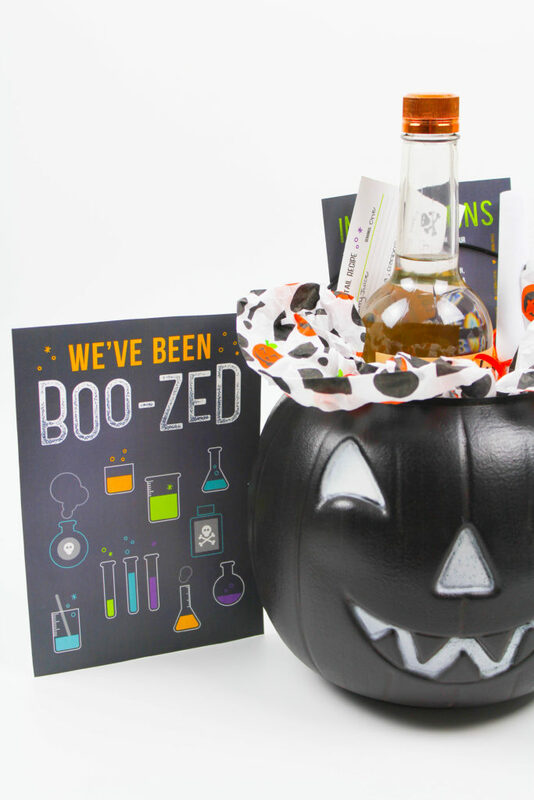 Attach the “We’ve Been Boozed” sign to your finished gift and deliver the halloween surprise! I already love a good surprise, but a surprise that’s full of alcohol AND a cocktail recipe?! SCORE. 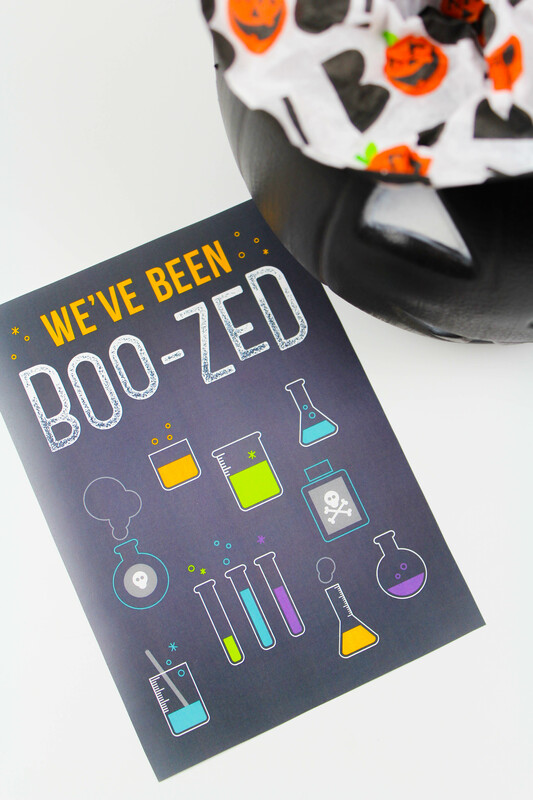 Download the We’ve Been Boozed printable early to get those drinks pouring at the beginning of October so that more adult friends can enjoy their halloween themed cocktails all month long!